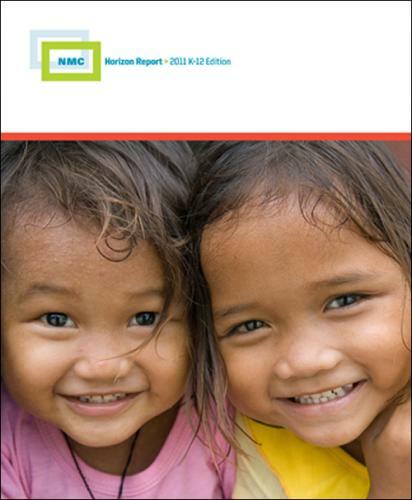 Each year, the New Media Consortium (NMC) publishes research – Horizon Report 20011 K-12 Edition – identifying key technology trends, critical challenges and emerging technologies facing K-12 education for the next five years. Reports such as these help guide our work as we implement a vision of education for the 21st century. The abundance of resources and relationships made easily accessible via the internet is increasingly challenging us to revisit our role as educators. As IT support becomes more and more decentralized, the technologies we use are increasingly based not on school servers, but in the cloud. Technology continues to profoundly affect the way we work, collaborate, communicate and succeed. People expect to be able to work, learn and study whenever and wherever they want to. Digital media literacy continues its rise in importance as a key skill in every discipline and profession. Economic pressures and new models of education are presenting unprecedented competition to traditional models of schools. To learn more about these technologies, you can watch a series of videos describing each of these technologies in further detail. As TL2014 begins to unfold, we will need to learn more about these technologies. Our challenge will be to develop new applications of these technologies in the classroom in the context of the trends and challenges outlined in the document. Salisbury has an exciting future ahead!